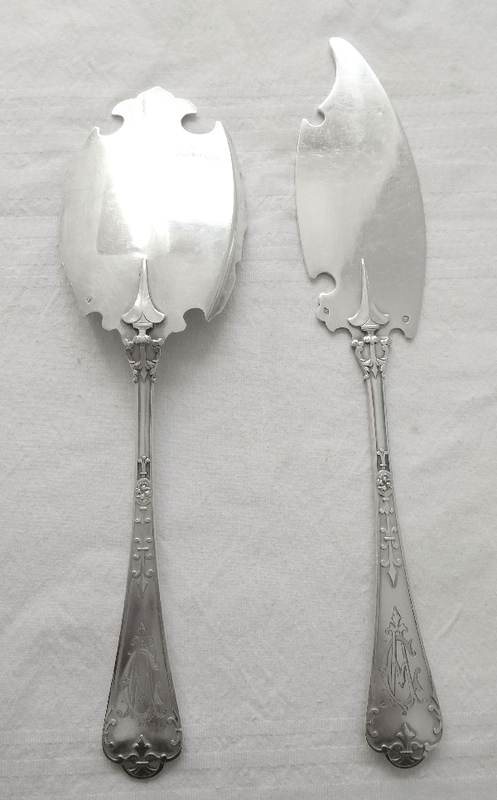 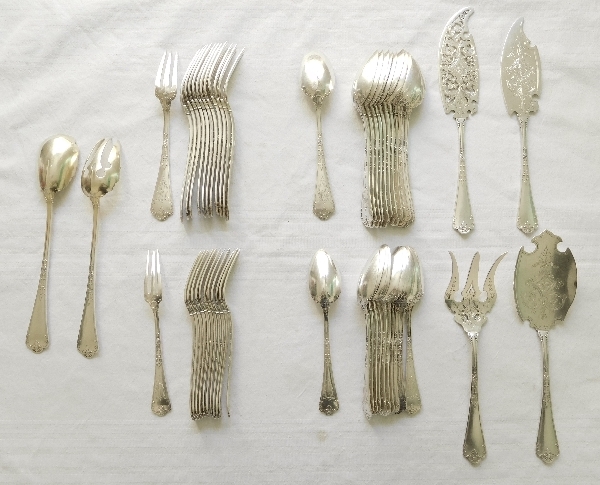 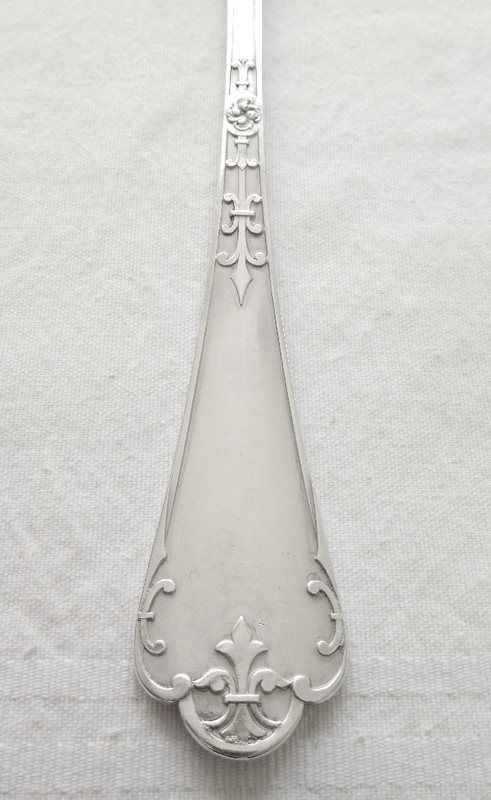 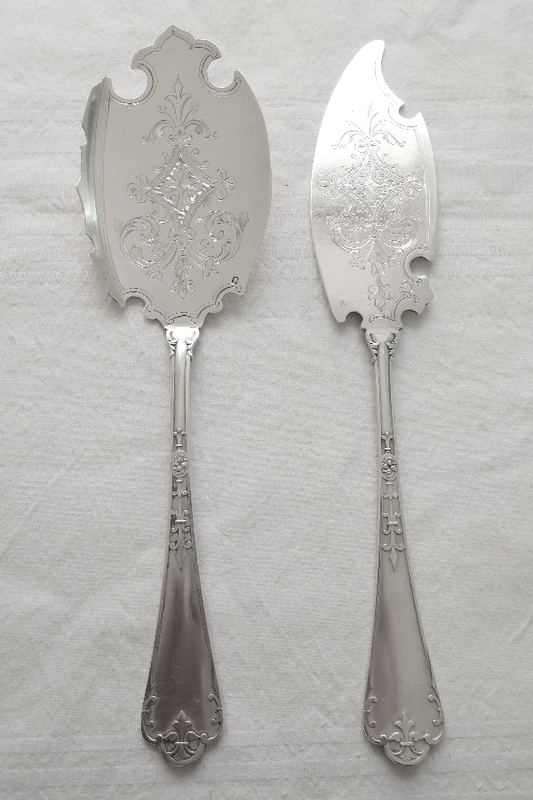 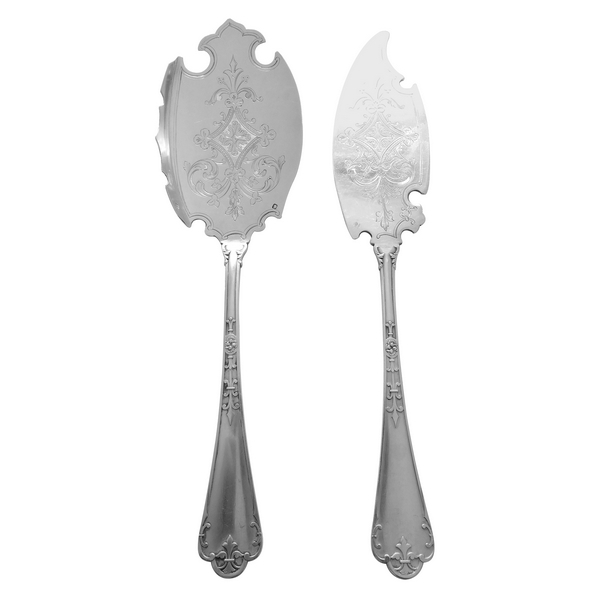 Sterling silver dessert serving set, Renaissance style (Neo Gothic) : an ice serving spoon and a pie or cake slice. 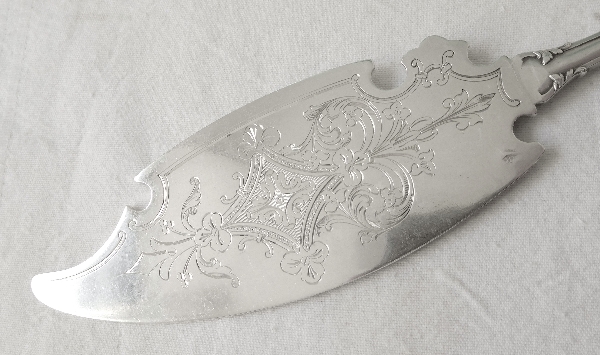 Rare Fer de Lance pattern, luxury model designed by silversmith Puiforcat. 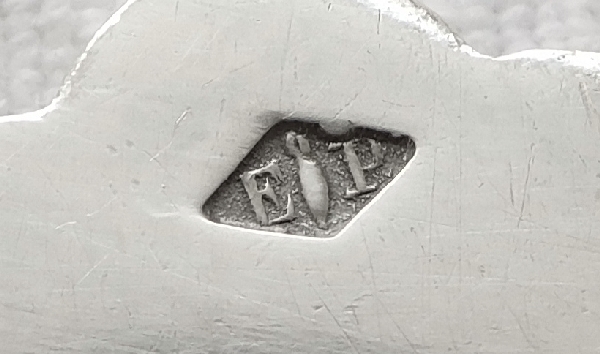 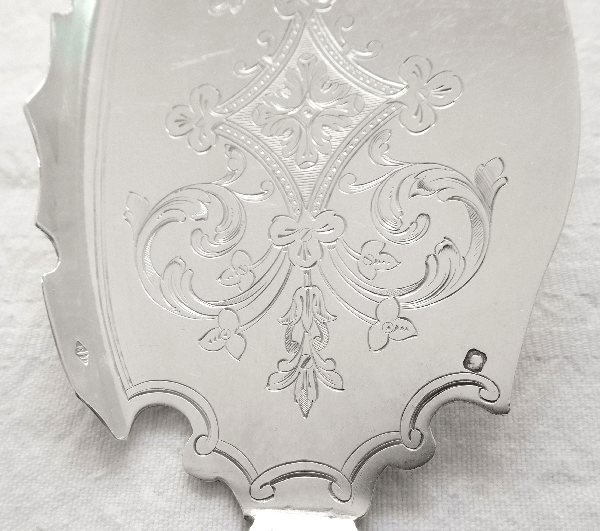 There is a AC monogram (CA monogram) engraved on the handle. 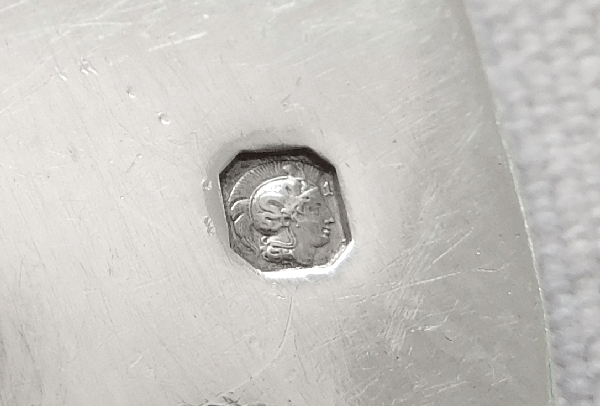 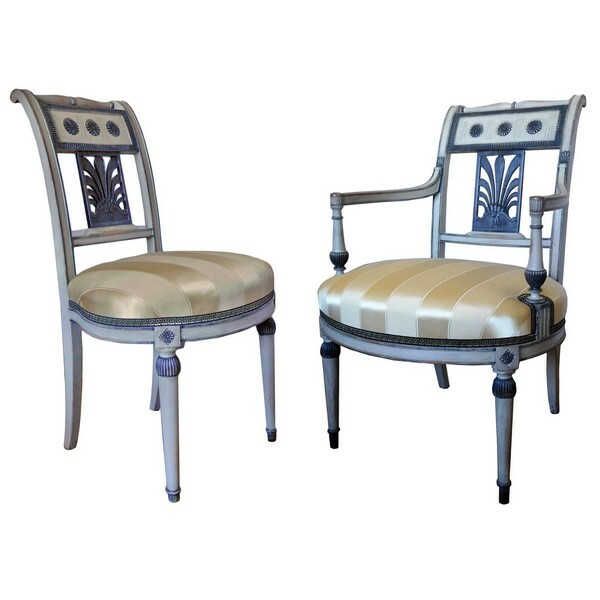 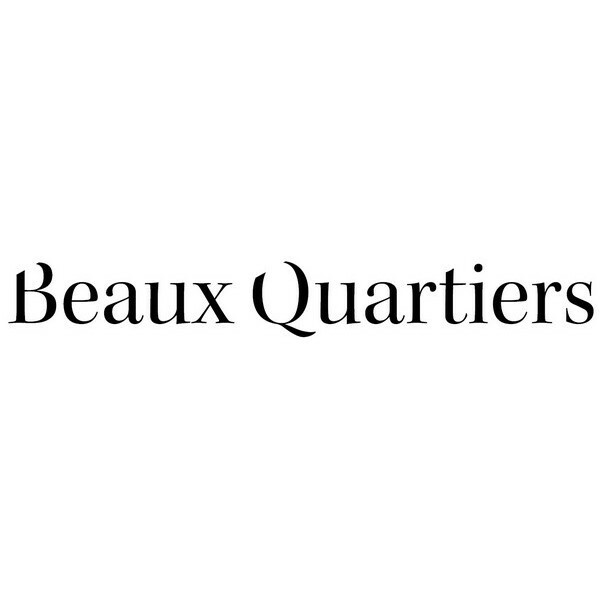 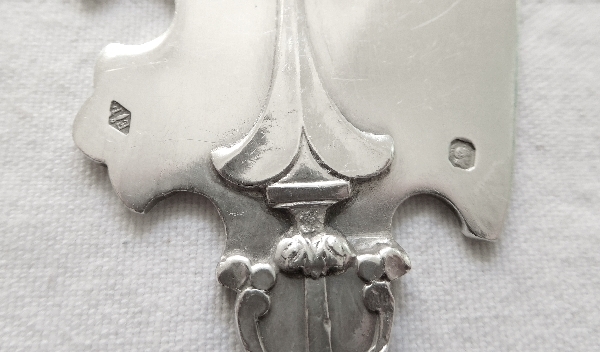 French hallmark Minerva 1st standard and Puiforcat silversmith mark stamped on each piece. 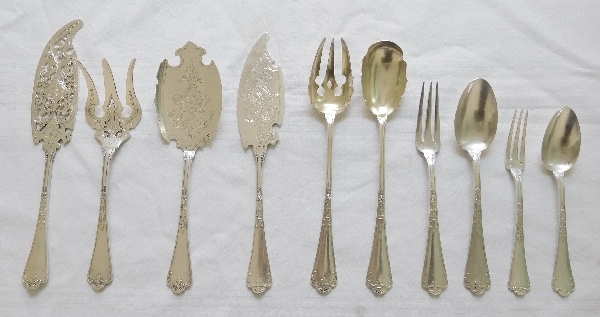 To have a look at all Fer de Lance items presented on this website, please click on this link.